WINCHESTER, N.H. — The Modified Touring Series first hit the track this season at Monadnock Speedway in Winchester, N.H.
On May 21, Ryan Preece collected a $15,000 check as the winner of the inaugural Winchester 200, a race that saw 200 green flag laps around the quarter-mile bullring. Since that race, questions have been swirling about the possibility of what series founder Gary Knight may have in store for the 2017 campaign. 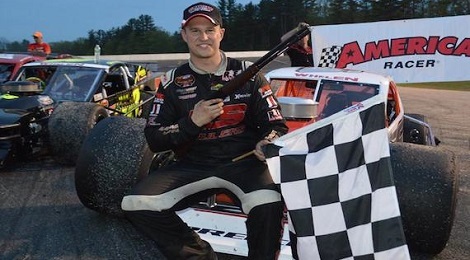 In the past few weeks, Knight has announced three dates at Monadnock (April 29, July 1 and Sept. 16) and one date at Seekonk Speedway (June 10), making a current four race schedule for next year. Though Knight has not announced any additional dates as of yet, it does appear that the series will have at least an eight-race schedule for the 2017 season, according to sources close to Race Chaser Online. And for eight races to go off according to plan, Knight must have the support of the drivers and teams of the modified community. So far, it appears as if he does. Last Thursday, Race Chaser Online published a story about the Valenti Modified Racing Series, a tour that is getting set to enter their 14th season in 2017, in which series founder Jack Bateman said he has a 14-race schedule planned for next season. Many had speculated that Bateman would be folding up the tour and ending his run as a modified series in New England, but he personally disagreed. Since that comment by Bateman, the Modified Touring Series Facebook page, a page created and operated by Knight, has blown up with comments. And since that post, drivers have pledged their support for the series. Former Valenti Modified Racing Series champion Chris Pasteryak was quick to comment on the post by Knight and say: “Our team was promptly paid the advertised purse in full.” As a veteran and well-respected competitor inside the modified community, Pasteryak has also pledged that he will compete on the MTS during the 2017 season. Current Tri Track Open Modified Series competitor Mike Holdridge joined Pasteryak, saying: “Our team was also paid the correct purse, and timely, I might add.” Holdridge has also said he will compete on the MTS next season. The list of committed drivers also has continued to grow this month. Names like Kirk Alexander, Tommy Barrett, George Sherman, Carl Mederios Jr., Steve Masse, Rob Richardi Jr., Todd Annarummo, Dana Smith and the defending Valenti Modified champion Jon McKennedy have also said they will compete, as have Richard Savary and Anthony Nocella. And at this point, no one really knows what the future holds for either the VMRS or the MTS. The Valenti Modifieds have already penciled in a 14-race schedule and the MTS is going to do everything they can to have races across the region. Knight has also created an “owners and drivers committee,” including some top drivers and owners inside the sport. Among the members of the group are Alexander and McKennedy, both successful modified drivers in New England. On the owners side, Knight has added Charlie Pasteryak, Kim and Gary Cassella and others. And finally, Knight has also already hired several event staff members to take care of his races in 2017. Respected officials Terry Battle, Wayne “Muffy” Wildermuth and Arthur Chartier have been added to the list. He has also named Eddie Flemkie into the race control position, along with chief starter Chan Stevens. So even though the remaining schedule is unknown at this point, it is clear Knight is going to do everything he can to become successful in the modified community. And at this point, he is receiving the backing of the drivers. Without that, his series will be nothing. The opinions expressed are those of the writer and do not necessarily reflect the views of Race Chaser Online, the Performance Motorsports Network, Scorpion Radio Group, their sponsors or other contributors. Kyle Souza is an aspiring Journalism major at the Roger Williams University in Bristol, R.I. Souza is Race Chaser Online’s New England motorsports insider, covering everything from the NASCAR Whelen Modified Tour to the NASCAR Whelen All American Series and the PASS North Super Late Models. 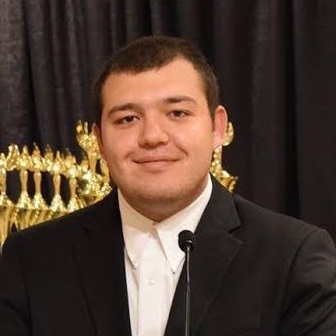 When not writing, Souza works at the Seekonk Speedway as the track’s Friday night public address announcer and press writer, and is also the Media Director for both the Granite State Pro Stock Series and the Tri Track Open Modified Series.